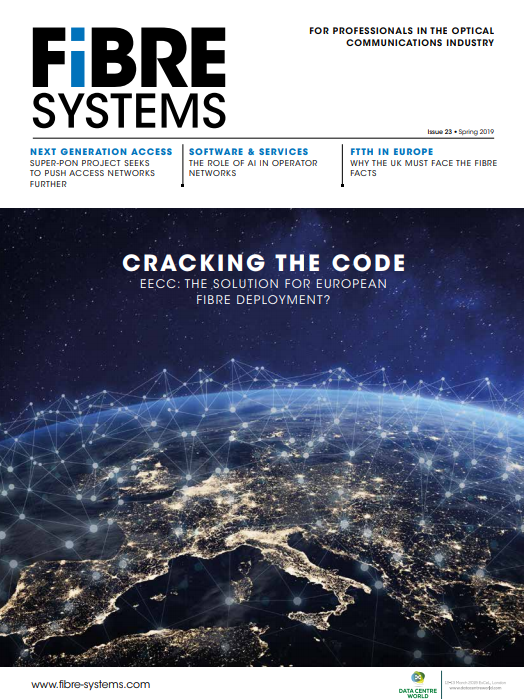 Optical transport vendor Coriant is the latest company to offer a product aimed at data centre interconnect (DCI) networks with the Coriant Groove G30 DCI platform. Offering 3.2Tb/s of capacity in a compact and stackable one rack-unit (1RU) box, the new product provides up to six times higher system density and 70 per cent lower power consumption than comparable products, the company claims. These capabilities drive down operational costs while increasing capacity to help network operators deliver profitable DCI services and enhance the end user cloud experience. The Coriant Groove G30 DCI Platform will simplify provisioning of 10G, 40G, and 100G wide area network (WAN) cloud connectivity services in metro, regional, and long haul DCI applications, the company says. Key advantages include what the company claims is the industry’s highest density – supporting 3.2Tbps in 1RU counting both client side and line side interfaces – leading to significant space and OpEx savings. The pay-as-you-grow system design and mix and match pluggable interfaces deliver industry's lowest first cost for 10G, 40G, and 100G services, enabling cost-efficient deployment and quick and easy scaling of capacity as data center traffic increases, as well as lowest cost onsite sparing. Coriant also claims that its platform has lowest power consumption of just 0.45W per Gigabit Ethernet of duplex traffic – up to 70 per cent less than other products on the market – dramatically reducing energy costs. The new platform achieves its performance advantage by exploiting the latest innovations in high-speed optics, photonic/electrical integration, and silicon photonics. This includes Coriant CloudWave Optics to supports dynamically adjustable modulation formats (16QAM, 8QAM, QPSK) to deliver cost-optimised optical reach in both metro and long haul applications. “Coriant is changing the game in data centre interconnect with a breakthrough solution that helps cloud and data centre operators deliver highly competitive and profitable services,” said Paul Smelters, executive vice president, product management and marketing, Coriant. “The Coriant Groove G30 DCI Platform builds upon our leadership in high-speed optics and ensures the best end-user cloud experience at the lowest operational cost." For ease of deployment and operation, the Coriant Groove G30 DCI Platform provides standards-based interfaces suited to cloud and data centre environments, including support for open north bound interfaces and APIs. In addition, the Coriant Groove G30 DCI Platform can be easily implemented over third-party open line systems or together with Coriant's optical layer products. The solution is fully integrated with Coriant’s planning, management, and control software, including the Coriant Transport Network Management System (TNMS) and Coriant Transcend software defined networking (SDN) architecture. Currently entering customer trials, product availability is planned for Q2 2016.